House prices in Malta have shot up more than in any other country in the world, a new report has found. 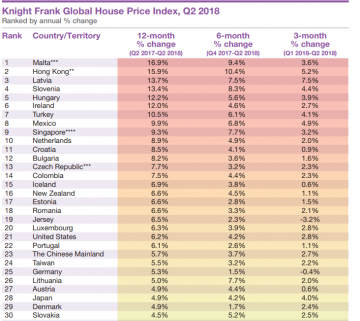 According to a Knight Frank LLP Global House Price Index published Friday, Malta has edged out Hong Kong to take the prize for territory or country with the highest residential price gains in the June quarter. Based on figures taken from Malta's own Central Bank, home prices on the island rose some 17 per cent in the three months to June when compared to the same period in 2017. "Supply constraints, combined with a robust economy (6.6 per cent GDP growth in 2017) and a buoyant technology industry is pushing up demand," the report said. Hong Kong, the world’s priciest housing market, came in second, with price increases of 16 per cent. It has led the index’s rankings on 10 occasions since 2009. Back in July, the EU's House Price Index had suggested that property prices on the island were actually dropping., though the Developers Association quickly shot down those findings. 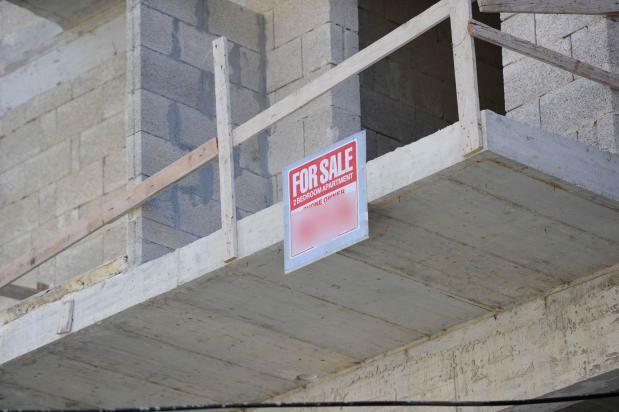 Malta Developers Association president Sandro Chetcuti has maintained that the facts show there has actually been an increase in property prices across the board. Local analyses have shown property prices were increasing at the rate of about four to five per cent when compared to the same period the previous year "at a minimum", Mr Chetcuti said. The Central Bank of Malta’s quarterly review published in May had found that the Property Price Index computed by the National Statistics Office showed that prices increased at the more moderate rate of 4.1 per cent during the last quarter of 2017, after rising by 4.8 per cent in the third quarter.